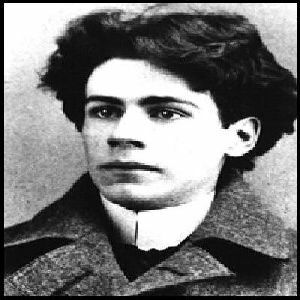 In Honour of Emile Nelligan: Beloved Quebecois Poet born on Christmas Eve, 1879 to David Nelligan, an Irish immigrant and Emilie-Amanda Hudon Nelligan a Quebecois musician and devout Quebecois and Catholic. Except for summer vacations with his family to the Gaspe peninsula and a short trip to Ireland he spent his entire life in Montreal. At College St. Marie he let his studies slide and immersed himself in his poetry and found success, being published and celebrated in Quebec. In 1899 he had a nervous breakdown and was incarcerated until he died in 1941. With the help of his mother and his friend Louis Dantin a book of 107 poems, titled Emile Nelligan et Son Oeuvre, was published in 1904. He explored elements of symbolism in his work and was influenced by symbolist Poets, Arthur Rimbaud and Charles-Pierre Baudelaire. The book has been reprinted several times, lately in 1989. * Courtesy of infringement Festival Montreal and Subterranean Blue Poetry.